I had a short peek inside today. It’s called HD1 and is a brand new bus for outside broadcast. Producing HD video and 5.1 sound. The total area inside the bus when fully extended is about 60 square meters. It has already been used during the Norwegian skiing championship last weekend. Next trip is for the winter olympics in Torino, Italy. Cool! 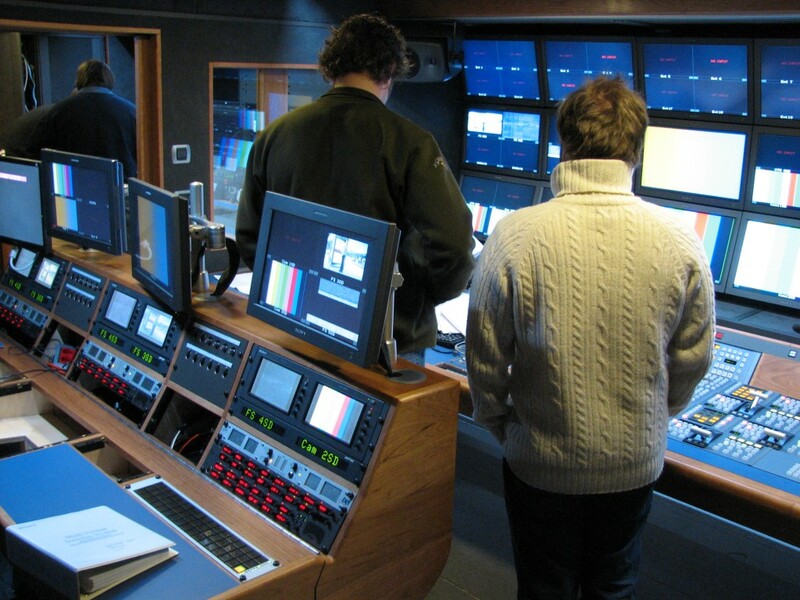 I have been inside some regular TV buses broadcasting for Canal+ and they was cool for a hardware geek like me. This one here looks much more updated. Can’t wait for more HD channels to arrive so I get value for my NRK licensing fee. For a true geek this is a piece of art! Fortunately this means that NRK will start to do productions in HD. No distribution channel yet, but that is bound to come. Maybe make a service where the geeks with powerful media centers can download the productions that are done in HD? 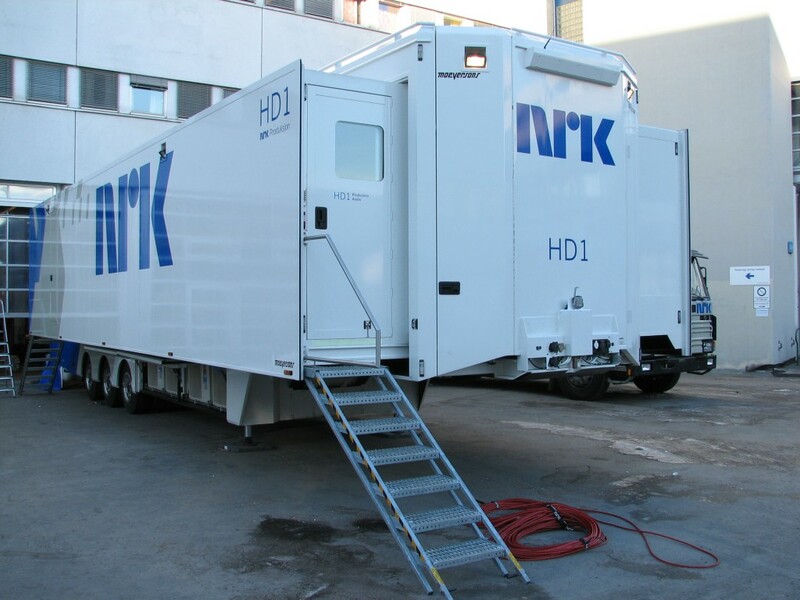 Did you get any indication if NRK will send the World Cup in HD? Maybe using this bus? As far as I know, NRK is not going to send the World Cup in HD.